Dr. Bake and Dave are the best! Prompt and great service and open on Sunday. Dr.Baek is very pleasant and cares about her patients, I will remain a client for life. 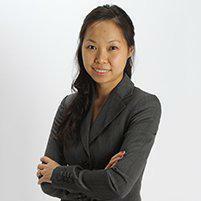 Dr. Baek has wonderful bedside manner, professional, informative, intelligent and friendly. Her office is comfortable, updated and love the TVs while you are getting your teeth cleaned. Capable, excellent, professional, skilled, good people. Never have to wait, excellent customer service! Dr. Baek saw me on time. She’s professional but also warm and friendly. Excellent! No pain! Great experience! Before my visit for a crown, I told my neighbor “I love my dentist” she is so pleasant yet professional! After my visit, I still feel the same way. Greatest Dentist this side of Mississippi. Everything was great from the second I️ walked in the door. Dr. Baek and her staff are a well oiled machine that made my visit a breeze. So friendly and they explain everything so well! They are great! I️ would recommend this office to anyone! So glad I️ found Dr. Baek! She was kind, skilled and knowledgeable. Definitely recommend! Had an infected fractured front tooth. Removed today and prepared for a bridge. I couldn't have been in more capable hands. Thank you Dr Hannah. Dr. Baek is courteous And thorough. She works and your done. The office is immaculate and her receptionist is very kind. 4 cavity fillings were very quick and painless. I was in and out in 30 minutes. Incredible. Great bedside manner as usual. Great experience.